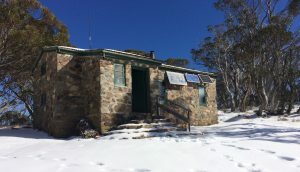 The Cleve Cole Hut is situated in a sheltered area below the tree line at the head of Camp Creek, at an altitude of 1,760 m. It is dedicated to the memory of Cleve Cole, a Victorian skiing pioneer who died after being trapped on Mount Bogong in the winter of 1936. In a virtual wilderness it is a magnificent refuge and a base in all seasons for walkers and skiers alike. 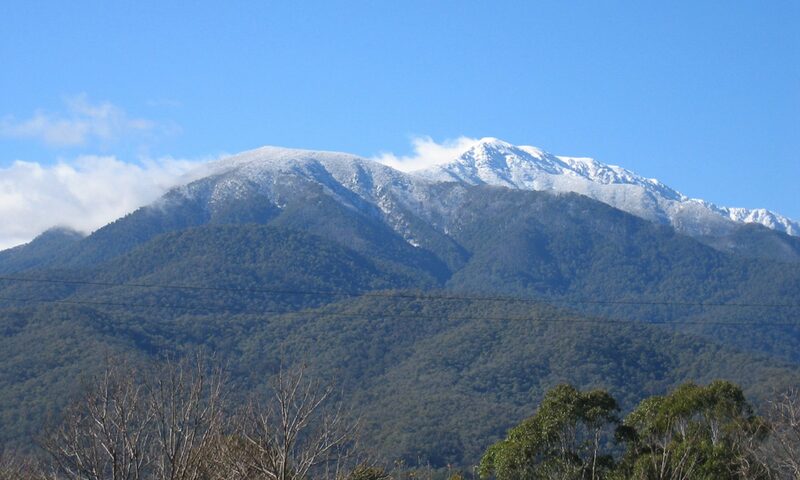 The intention behind its construction was to reduce the ever present dangers posed by Mt Bogong, the same dangers which over the years brought several peoples’ lives to an untimely end. 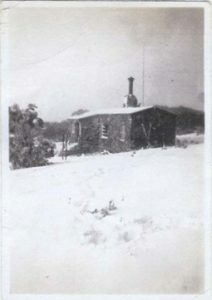 The hut’s architect, Malcolm McColl, (himself a keen skier) designed the building in 1936 and the hut’s construction started in February 1937; it was usable by winter of the same year. In all, about 10 tonnes of building materials were moved up the mountain by pack horses; the only means of transport available in those days. The hut is a solid stone building, with a kitchen, bunk/living areas and an outside toilet, the periodic repositioning of which was (in the interests of environmental preservation), a ritual enjoyed by the more energetic club members. 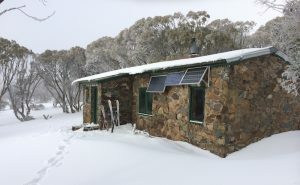 The Cleve Cole Hut is a Crown Hut within The Alpine National Park, regulated by the Department of Natural Resources and Environment, and maintained by The Mount Bogong Club, whose members have, since 1965, improved the hut and kept it in excellent condition. Photo of the hut in the afternoon.